The Department of Culture, Media and - for some reason - Sport (DCMS) is going to be investigating the rise of what it calls "immersive and addictive technologies". Announced on the UK Parliament website, the DCMS Committee will be looking into how tech like AR and VR has developed, as well as future effects it could have on media and sports. In addition, this will be examining the "addictive nature" of tech such as video games and social media on young people. This includes the way that many apps are "gamified" in order to encourage certain patterns of use. Other topics that will be part of the investigation include the future of pro-gaming in the UK, the link between video games and gambling, digital and video games addiction and data security. There are also references to the link between "immersive technologies" and "individuals' data", which seems somewhat irrelevant to the overall scope of this inquiry. Evidence is to be submitted by Monday, January 14th, 2019, so expect the inquiry to take place in the months following. 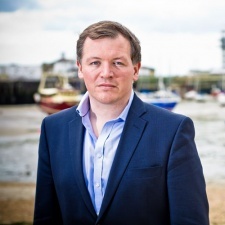 “The way we interact with cutting-edge technologies is life-changing for our generation and generations to come," said DCMS Committee chair Damian Collins (pictured). "We have the opportunity now to shape that development, setting an agenda that benefits our economy and how we spend our leisure time, while ensuring the right safeguards are built in. “We’re seeing industries emerge that offer enormous potential for growth such as eSports and gaming where the UK is rightly regarded as a world leader in production. We’ll be looking at what action is needed to ensure we remain a key player. Technology such as virtual reality and augmented reality is already an important asset to the film industry, simulated training, and gaming. We want to understand more about its potential and the future impact it could have on society. The development of ‘deep fake’ augmented reality films, is already a cause for concern because of their potentially disruptive impact in spreading disinformation. “During our recent inquiries, the committee has heard repeated concerns about the impact to society of the increasing amounts of time that people spend immersed in online worlds, and the potentially addictive nature of social media and gaming. We want to explore these concerns during this inquiry and consider what the right response should be in setting public policy for the future.